Disney is coming out with some great gifts that are sure to be on your child's wish list this Holiday season. Disney inspired costumes are going to be huge again this year. Princess Leia, Darth Vader and Miles from Tomorrowland are all going to be super popular. The white costume to the left is Baymax but unfortunately they did not have the mask present. All are available at the Disney Store and DisneyStore.com (pricing varies). Girls are really getting into Lego these days. Ariel's Under the Sea Palace and Elsa's Sparkling Ice Castle are every little girls dream sets! These sets are currently available at major retailers. No words necessary. Elsa's Magical Ice Castle is going to melt the hearts of Elsa fans everywhere. The castle plays "Let it Go" of course and retails for $129.99 and will be available at mass retailers. The Elsa doll is sold separately. This super cute Olaff Plush Bag comes filled with Tsum Tsum! Anna, Elsa, Sven and a little Snowgie from Frozen Fever are included. New Frozen accessories are available now at The Disney Store and are going to fly off the shelves. 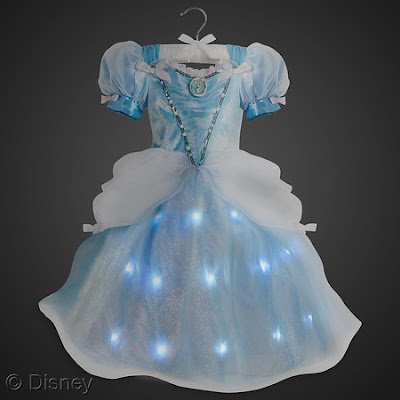 Elsa's dress lights up ($49.99)! This is available starting July 6th. The wig is amazing ($19.99)! 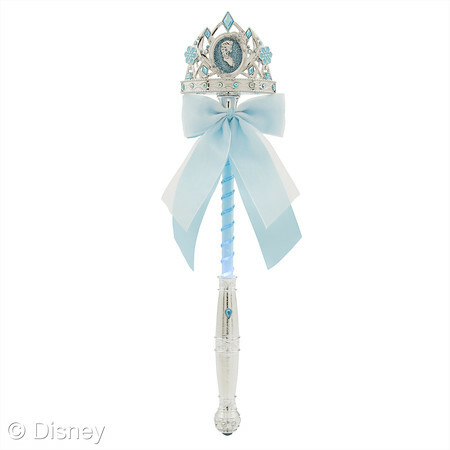 For $12.95 every girl can feel like a princess with her own Elsa wand. Retailing for $49.99 the Stellosphere spaceship includes a Mini Star Jetter and a Zip Ship. A Cross Vehicle Rocket system attaches to all three ships enables fun lights and sounds. This becomes available in July and I am going to get it early! I can't wait to show you what else Disney has up their sleeves for the gift giving season. As they say, I'm saving the best for last so be on the look out for my next post!